Home » Forum » MSX Talk » Hardware » Problem in MSX2 HB-F5 SCART cable! Problem in MSX2 HB-F5 SCART cable! Both cables SCART PAL, works ok with another devices PAL, like DVD player, run normal with full colours, then the cable that i built and the another are ok, anyways i tested again the cable SCART-SCART PAL pins and seems that the pins are correct. Seems like the picture now is correct colours but the image blinking a lot, with correct colours i mean that if you see the video frame by frame you can see logo appears msx, partially, with correct colour and crooked to the right, but the red-tinted image effect seems not appear now, but seems that some problem of frequency synchronization is happen. For now, i could make some mods in the HB-F5, i changed the roms with update to MSX2+, z80 change, change VDP to V9958 (the problem RGB is the same than V9938, now i have reinstalled the V9938, because with the RGB problem i think that the cause was the VDP 9958, then i reinstalled the V9938 again), redirect internal RAM from SLOT 0-X to SLOT 3-X. (Thanks a lot NYYRIKKI for help). That problems seems like i could avoid if i get any NTSC-PAL composite conversor device i think, but the composite video gives a very painful quality, this is the reason to try the option SCART, but I'm running out of ideas on how to fix it, i wonder if anyone have any Japanese MSX with in-built male SCART like HB-F5, will be great to know the perfect conections to made the cable or capacitors, resistors addons if it needed, anyways i dont know if this could solve the problem. What's this 'Japanese SCART pinout' ? Any reference? Even Wikipedia article on SCART doesn't mention different pinouts. :-? Have you tried with plain, fully wired SCART-SCART cable bought in a store, vs. one you wired up yourself? 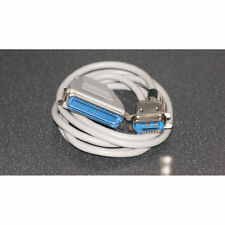 In case you have monitor/TV with multiple SCART connectors, have you tried each, with that pre-built SCART cable? Does the machine start up 50 or 60 Hz refresh by default (check BIOS ID bytes, MSXMEM screenshot says 60 Hz default)? If so, what happens when setting 50 Hz (manually) ? 50/60 Hz and PAL/NTSC are 2 different things, and PAL/NTSC timing also applies to some degree when using RGB, because you use a composite sync signal in that case. With exact timings depending on how that composite sync is encoded. Possibly a monitor/TV can handle 60 Hz, but not true NTSC timings (for example this is the case with my old TV). On photos in an earlier thread, I see 2 crystals: near videochip (21.5 MHz I assume? ), and next to clockchip (32 kHz). Is that it, or can you find another crystal somewhere (and what frequency) ? ... it is not really SCART, but just RGB output... It just happens to use same connector. I'd just grab a few pins & check where they go to, and/or locate some points on the board that should be on the connector somewhere, and check on which pin(s). For example various ground points, composite video / audio signals on modulator, or +12V via series resistor (function switch, SCART pin 8). Check for a few pins/signals & it should be pretty clear whether connector is plain SCART or some custom pinout. Hi! Retrotechie and NYYRIKKI, thanks a lot for reply and sorry for the delay, I have found a solution but first i tried to reply some above observations first. Sorry for call it SCART, like NYYRIKKI said is just RGB output that uses SCART same connector, with same number of Pins on it. About this i found a Korean page with complete information about the RGB OUTPUT and with some msx info about it. # Have you tried with plain, fully wired SCART-SCART cable bought in a store, vs. one you wired up yourself? In case you have monitor/TV with multiple SCART connectors, have you tried each, with that pre-built SCART cable? # Does the machine start up 50 or 60 Hz refresh by default (check BIOS ID bytes, MSXMEM screenshot says 60 Hz default)? If so, what happens when setting 50 Hz (manually) ? # 50/60 Hz and PAL/NTSC are 2 different things, and PAL/NTSC timing also applies to some degree when using RGB, because you use a composite sync signal in that case. With exact timings depending on how that composite sync is encoded. Possibly a monitor/TV can handle 60 Hz, but not true NTSC timings (for example this is the case with my old TV). The PAL SCART-SCART plane didnt work even if pug into RGB IN SCART TV conector, only shows RED full image, even 50Hz is selected with H key (utility in the roms) no works with full colour, the press of H key is for select in boot 60Hz or 50Hz, if i use composite only signal in 60Hz i saw in screen all in B/W, with 50hz i can see perfect colour in composite but only in BASIC or MSXDOS-2, msx logo boot shows up in B/W. I suppose that a NTSC-PAL composite converted is needed to fix that using MSX composite signal. Now after fix the point in RGB cable i can see perfect colour in monitor PHILIPS CM 8802, also i tried with LCD SONY KDL series and perfect colour now after the fix. About this, i didnt find another more than 2 crystals, there is one near VDP the X1, label like 21.47727Mhz (write it in solder side, in component side near the crystal is write like 21.47727KHZ), another is X2 label like 32.768K (write it in solder side, in component side is write the same 32.768K) .For better view this i´m just now preparing a post with certain points that i found to "try the MSX SUPER TURBO install into the HB-F5". Ok, i made 2 photos of Konami Logo, the photos have some effects produced by the camera ,but if we looking at in full-screen view from your PC monitor ,and at a distance like 1 meter or more, you could see the vertical line which talk above. I dont know if the problem could be the HB-F9s SCART cable, in it i saw 3 capacitors each one for signals R, G, and B, the capacitors are 10V and 100uF, this capacitors is located in the SCART that conect to TV. Also tell that in the SCART HB-F9s cable, in the middle there is a little box with composite OUT and audio OUT, you´ll see this little OUTPUT box in the images link above, i dont know if this "little box" will be the problem of the vertical effect. Ok, more things, i noticed that when i turned on the HB-F9s the MSX image appear automatically in LCD TV, no need to change the TV to AV position, in the HB-F5 this is not doing automatically, i have to set the TV in AV position once i turned on the MSX, i wonder how could i get to do that in HB-F5, i think this happen because in the HB-F9s the "AV CONTROL" is on, in some diagrams i saw that the "AV CONTROL" in Japanese RGB is pin 11, and it will be goes to pin 8 in EUR SCART, this pin 8 is "FUNCTION SELECT (SWITCH SIGNAL IN)" i suppose this will be the problem, but if you saw the HB-F5 diagram you´ll notice that this pin11 (in Japanese SCART) is conected to nowhere into HB-F5 motherboard. I wonder how could i try this AV control function if will be possible. The last thing, also not much important is that the image in LCD 16:9 native, with LCD set to 4:3 i´ll see the image below in basic, a little slightly to the right, it seems only happen in basic, towards controls LCD i could to move to the left a little, is there any way to avoid this defect lateral side? Thanks a lot again for the help. Crazy to use SCART connector, with same signals but different layout... Stupid Japanese ignoring that world is bigger than their island - nothing personal but it is annoying at times. Reason I asked about Xtals, is video encoding standard. To get color, a short pulse train called "color burst" is inserted in composite video signal, and frequency depends on TV standard: PAL: 4.43 MHz, NTSC: 3.58 MHz. MSX2 videochip always uses same crystal: 21.48 MHz, and 3.58 MHz (=CPU clock) is exactly 1/6 of this. If video encoding uses 3.58 MHz, you can be sure it uses same 1/6 of VDP clock. But if video encoding uses 4.43 MHz, there will be a separate Xtal for that frequency. Read: separate 4.43 MHz Xtal -> video encoding will be PAL. No separate 4.43 MHz crystal anywhere -> video encoding will be NTSC. So your findings indicate video encoding is NTSC, hardware-wise. Together with Japanese layout on the SCART connector, I very much doubt the Spanish ROMs were a factory job. Probably someone imported this machine from Japan & put Spanish ROMs in there. Well that's about it - usually this 'signal' is just a series resistor (couple of hundred Ohms - 1K typically, see some other MSX schematics) connected to +12V. So it would be easy to add. But it isn't important (and +12V has potential to kill stuff!) so I wouldn't bother if you can do without. It seems to be common problem with LCD TV's. I have Samsung and it has exactly same problem when I connect my MSX tR. (also NTSC color burst) My suggestion: USE A REAL MONITOR! You won't regret. The modern LCD TV's seem to be pretty bad when it comes to analog signals MSX computers are outputing. Same goes with video projectors (I needed to test at least half dozen of video projectors to find one, that actually did output even reasonable quality picture on MSX) If you want me to prove this I've made a monitor test program that will show you how horribly bad your TV actually is. Sometimes the TV setup have some "picture improvement features" that can be turned off to get a bit better picture, but usually even that does not help. I very much doubt the Spanish ROMs were a factory job. Probably someone imported this machine from Japan & put Spanish ROMs in there. Hi NYYRIKKI, yes i could fix the horizontal problem with LCD options, leveraging discuss the issue Monitor instead of Lcd monitor, now i have a PHILIPS CM 8802 and the image is pretty on it but i´m wondering which monitor models are best than this (any SONY TRINITON for MSX? ), i think this CM 8802 have decent screen and size control options but , which MSX monitors models are the best and where could i find today? will be interesting get one with more inches and more flat screen like old triniton models with Black Case will be much perfect! The device could find it in ebay, but i wonder if this could be accept all RGB direct signals from any MSX, i think this is the only "cheap" way to try a MSX into CRT using VGA, right? But it doeesnt works... all I get its a stable image with strange colors (it seems they came from red alone). Also, the sound its ok too. Can it be any mistake on the picture of the link? The pinouts seems correct. Check this japanese page and look for the A21A connector pinout. Have you tied all the grounds?. Do you have any other jap machine with 21pin connector to test?